BHT offers installation and replacement of gas fueled and biomass fueled boilers. Gas Fueled: We can design and install a high efficiency boiler to replace your failing or inefficient heat source. 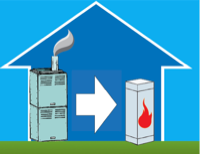 Our gas fueled boilers operate at 92%-97% efficiency, lowering your fuel bills, and can utilize natural gas or propane. New systems are much smaller than old boilers, and vent through plastic pipes, eliminating the need for chimney repair. Biomass System: Biomass Systems can be installed in new construction or retrofit over many central heating systems. Placed away from the home, these systems reduce the risk of fire and keep dirt, dust, smoke and bugs outside the home. Biomass stoves utilize cord wood, pellets, farm waste and construction waste as inexpensive fuel sources. Cordwood is supplied to the system in log form reducing the need for splitting. 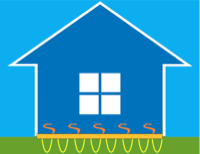 What is a Geothermal Heat Pump? 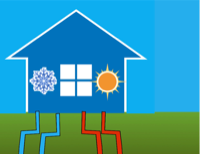 A geothermal heat pump utilizes the stored solar energy in the earths crust to heat and cool your home. Earth temperatures are vary stable around 54 degrees farenheight below 5 feet deep. A geothermal heat pump system circulates fluid through pipes buried below 5' deep or in vertical wells and then used that 54 degree fluid to add or remove heat from your home and supply most of your homes hot water needs. Geothermal heat pumps are much more efficient than air to air heat pumps and can be used as a heat source for radiant floor heating and pool/hot tub heating. Light Emitting Diodes are semiconductor devices that use very low current electricity to produce a light output. They have been used extensively for electronics and low power diplay lights for many decades, but in recent years some new technological developments have allowed LED's to have very high light outputs and long service life. We are now using LED's as primary lighting sources on both new fixtures or as retrofit of existing fixtures and lamps. LED lighting uses les than 10% of the power of incandescant bulbs and approx 30% of the power of fluorescent bulbs. LED's run cool and are very small, so no fire hazards and we can mount them almost anywhere. On Demand Water Heaters or Point of Use Water Heaters provide hot water on demand to faucets and showers, rather than wasting energy and water by holding hot water in a storage tank. On Demand heaters reduce water consumption, since you no longer need to run the water, waiting for it to get hot. They also save the consumer money by reducing repair and replacement costs cause by lime or mineral buildup. Since no coils come in contact with the water, mineral buildup issues are eliminated. electric fueled, or gas fueled. RADIANT HEAT: Radiant heat conditions living space by placing thermal energy below the flooring through the use of hot water filled tubing. The heat naturally radiates and warms objects, not the air. The tubing can be placed below any flooring, but is ideal for concrete slabs and under wood floors. 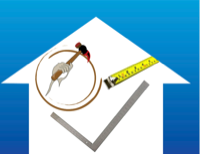 It can be installed while the home is being constructed or can be added to an existing home where the sub-floor is accessible from below or during renovation with an overlay. CLEAN - Helps with allergies since air is not recirculated or blown into the living space. Can use many sources of energy including solar or biomass stoves (cordwood) as well as high efficiency fossil fuel appliances and geothermal heat pumps. EFFICIENT - Heat sources do not need to produce high temperatures allowing condensing heaters or the use of geothermal heat pump sources. Water temperature in the tubing ranges from 75 degrees to 125 degrees. COMFORTABLE - Warms content, not air. Radiant energy is continuously ON, no cold drafts between heating cycles. Puts heat at your feet, allowing the room air temperature to be lowered by a few degrees with the same comfort level, this helps lower heat loss! 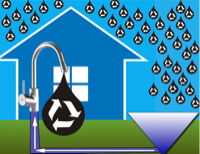 Rainwater reuse systems work on the same principle as old cisterns. They collect rainwater from the roof, filter it, and place it in a storage tank. This water can then be used to water gardens and landscape or wash vehicles. It can also be filtered and treated, making it safe to drink. 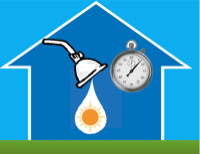 This can help offset high water bills, minimize the impact of restrictions on public water supplies or act as an excellent backup water source if a well fails. Systems can be as small as a rain barrel next to the house or as large as a 5000 gallon underground tank. 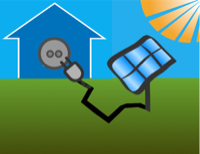 SOLAR ELECTRICITY - PHOTOVOLTAICS: Photovoltaic panels convert sunlight into electricity. These panels can be connected through inverters to your homes existing electrical system to offset electrical utility usageas a "grid-tied" system. 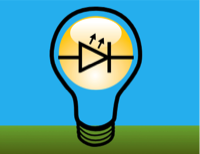 They can also be used to power stand-alone or "off-grid" applications such as cabins, sign lighting, gate openers and remote water well pumps. 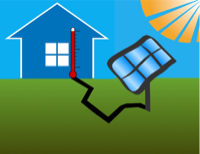 West Virgina utilities allow grid-tied operation and net metering of electricity. Net metering is where excess electricity from your renewable systems can flow back into the power grid while turning the meter backward, effectively selling power back to the power company. Photvoltaic panels come in many shapes and sizes and can be integrated into some construction materials for mounting on a wall or roof or can be mounted on a pole or other type of ground array away from the structure. Return on Investment in 2-5 years (shorter with energy costs rising and incentive packages). 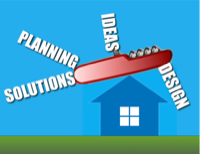 Can be retrofit into existing homes. Mini-split heating and cooling systems provide individual room temperatures, and whole-home comfort year round. These systems allow for a peaceful indoor environment because compressors and motors are installed outdoors. Inverter technology is the cruise control for your heating and cooling system. Since the compressors only run as fast as they need to handle the heating or cooling demand, they can reach the desired temperature more quickly that conventional systems, and more stable in operation. Only heat or cool the areas you are using, with separate thermostats for up to 8 zones. Duct losses account for more than 30% of your energy consumption in traditional systems. But mini-split systems have little to no duct work, saving you energy and money. Multiple style features are available to fit into any décor.